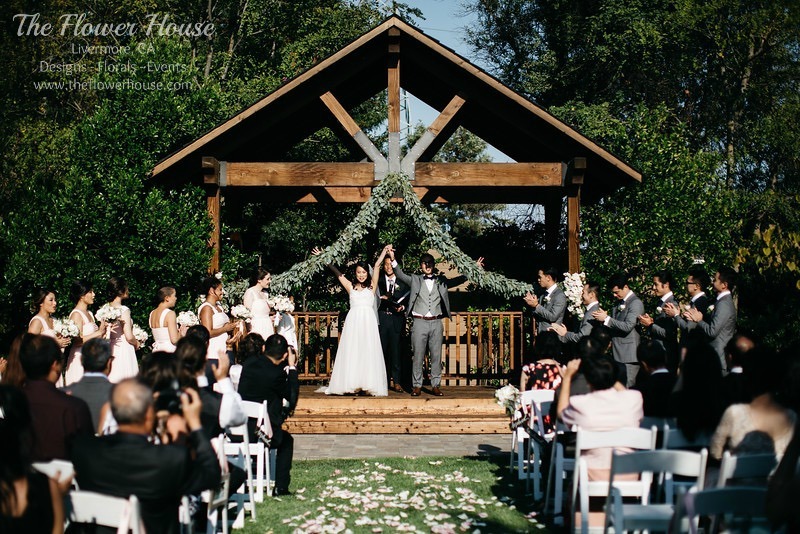 Mary and Hoan chose the intimate setting of Crooked Vine Winery nestled in the heart of Livermore Valley wine country. 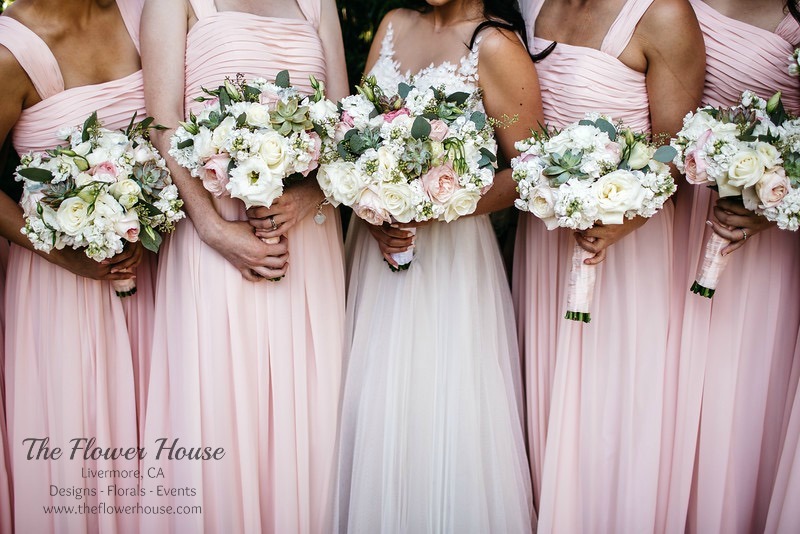 Mary, dressed in off white and her bridesmaids, dressed in soft blush pink carried rustic chic bouquets in whites, blush pinks, and greens, with garden roses, dusty miller, lisianthus, stock, tea roses, seeded eucalyptus and succulents. 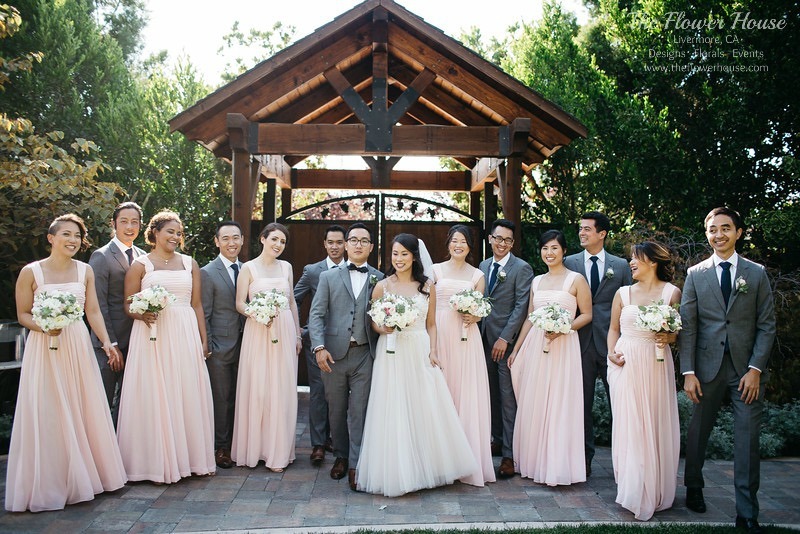 Hoan and his groomsmen wore charcoal tuxes, and had boutonnieres with ivory tea roses and green succulents. It was a perfect summer day for the outdoor courtyard ceremony. 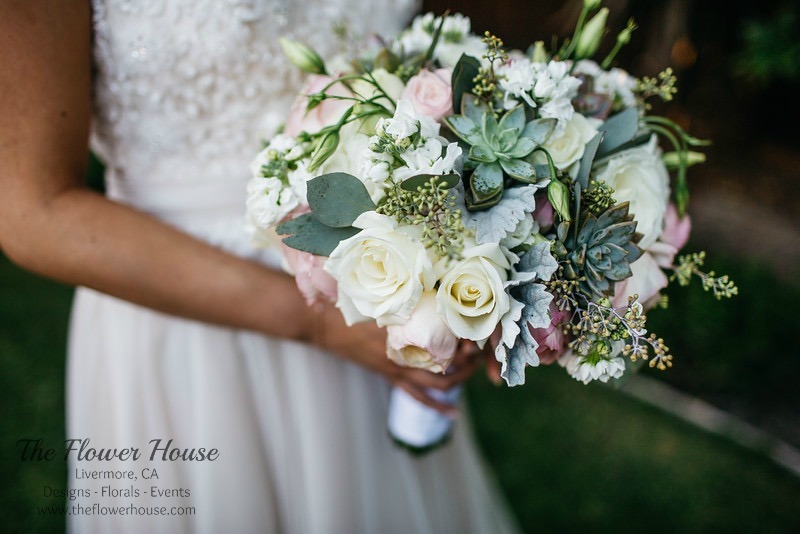 The aisle was scattered with rose petals and lined with hanging jars filled with roses, stock, dusty miller, seeded eucalyptus. The Altar framed the lovely couple with seeded eucalyptus garlands and floral tiebacks with garden roses, stock, tea roses, lisianthus and jasmine. The reception, adjacent to the ceremony site had little details using the hanging jars from the ceremony, the sweetheart table had a low arrangement flowing over the front of the table. The scrumptious wedding cake by Cake Delight was adorned with roses, succulents, and tea roses. The beautiful photography was captured by KNW Photography.